Going on vacation doesn’t mean you can’t stay active while enjoying everything the destination has to offer. So take a look at these outdoor activities that can be found in Niagara Falls, which will keep you moving throughout your stay! The region offers more than 50 golf courses that make up the beautiful natural world around Niagara Falls. The championship courses in the area are placed on scenic settings, close to the Falls and not far from the excitement of downtown Niagara Falls. Stay active and spend some time in the pleasant summer weather at one of the many beautiful courses found in Niagara. Biking is a great way to get fit and enjoy the natural beauty of the region. The trails allow you to trek throughout the forests, parks, waterside trails and the Niagara Parkway, located nearby to a number of Niagara Falls hotels. Stop and grab a bite or shop during your ride as the trails that surround Niagara Falls are never too far from civilization. Choose a paved or non-paved trail to hike along in the natural landscape of Niagara Falls. With over 15 km of hiking footpaths across six different nature areas as well as the 56 km paved Niagara River Recreation Trail, you have plenty of options. Take photos of the beautiful flowers and trees and bring binoculars to check out the birds along the way! 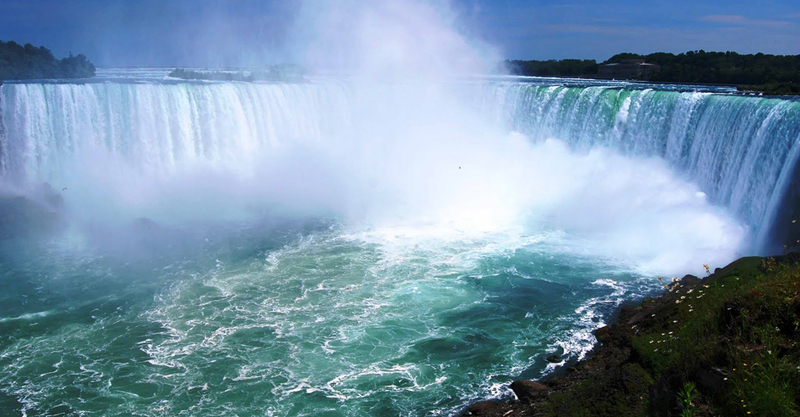 Located on the Niagara River between Lake Ontario and Lake Erie, Niagara Falls is known for its great fishing. All summer long fishers find salmon and trout throughout the lakes, and starting in April the Niagara River is one of the best places to find steelhead in North America. Fishing is a great way to spend a hot summer day on the water or while relaxing on the riverbank. Choose one of these activities for a relaxing yet active day in Niagara. All of the options offer a healthy alternative to your normal day-to-day life and are a great way to explore the region at the same time.